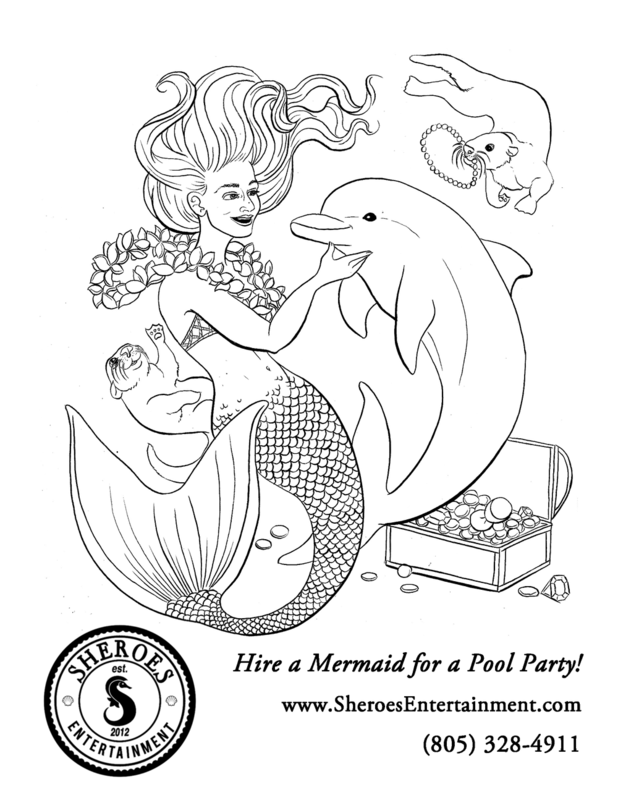 At Sheroes Entertainment, LLC we're pretty lucky to work with some fin-tastic artists and performers. One such mermaid performer, Mermaid Rachel, is also an amazingly talented line work artist. Last year we had commissioned an incredible series of mermaid art from her that could be shared with our community partners at children's events. We were so happy with her work that we have been waiting for a very spe-shell time to release the series ever since. We're delighted to present the first free coloring book page for kids in the mermaid coloring book series to you as we ALSO celebrate the official announcement of our partnership for The Little Mermaid Community Event in Thousand Oaks, CA this June 11 from 1PM-4PM in the park next to the Thousand Oaks Civic Arts Plaza at 2100 Thousand Oaks Blvd, Thousand Oaks, CA 91362. Bring the family, a picnic, and "sea" us there! Newer Post"Part of our World" - FREE Community Event on June 11, 2016! Older PostMermaid Encounter Declared a Splashing Success for Ocean Institute!